The following are terms of a legal agreement between you and NAUI Worldwide on its behalf and on behalf of its subsidiaries and affiliates ("NAUI Worldwide"). By accessing, browsing and/or using this site, you acknowledge that you have read, understood and agree to abide by and comply with all terms, conditions and notices contained in or referenced by these Terms and Conditions of Use. You further agree to be governed by any additional terms and conditions that may apply to you arising out your accessing, browsing and/or using of this site, whether contained on this site or in a separate agreement with NAUI Worldwide. In the event of any conflict between these Terms and Conditions of Use and such additional terms and conditions, such additional terms and conditions shall govern to the extent of the conflict. NAUI Worldwide reserves the right, in its discretion, to update or revise these Terms and Conditions of Use and to post such updated or revised Terms and Conditions of Use on this site. If you do not agree to these Terms and Conditions of Use, please do not use this site. Please check the Terms and Conditions of Use periodically for changes. Your continued use of this site following the posting of any changes to the Terms and Conditions of Use constitutes acceptance of those changes. Any dealings with third parties conducted through the site or Linked Sites, including the delivery of and the payment for goods and services, and any other terms, conditions, warranties or representations associated with such dealings, are solely between you and the third party. NAUI Worldwide shall not be responsible or liable for any part of any such dealings. In consideration of your use of any services provided on the site, you agree to: (a) provide true, accurate, current and complete information about yourself where prompted by the site (such information being the "Personal Data") and (b) maintain and promptly update the Personal Data to keep it true, accurate, current and complete. If you provide any information that is untrue, inaccurate, not current or incomplete, or NAUI Worldwide has reasonable grounds to suspect that such information is untrue, inaccurate, not current or incomplete, NAUI Worldwide has the right to suspend or terminate any services provided to you by NAUI Worldwide and refuse any and all current or future use of NAUI Worldwide services (or any portion thereof). You are responsible for all activities undertaken by you using any service provided by NAUI Worldwide, including, without limitation, access to materials on the Internet (whether at a password protected site or not) and use of email. All such activities are at your own risk. You shall not use, nor permit others to use, this site or any NAUI Worldwide services provided through this site in a manner or for a purpose contrary to these Terms and Conditions of Use. In the event that you access other networks or computing resources, you agree to abide by their respective usage policies. You are responsible for all activities that occur under your password or account, and will keep your password(s) confidential. You will immediately notify NAUI Worldwide of any unauthorized use of your password or account or any other breach of security. You will not disrupt the functioning of the site, solicit another user's password, or otherwise act in a way that interferes with other users' use of the site. Nor may you post or distribute any computer program that damages, detrimentally interferes with, surreptitiously intercepts, or expropriates any system, data, or personal information. 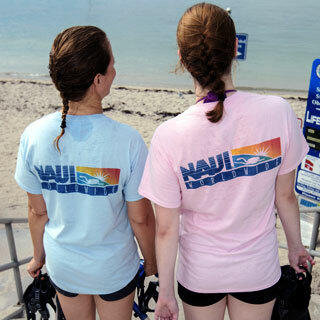 Services provided by NAUI Worldwide are not intended for use by minors. A "minor" is someone who has not reached the age of majority in the applicable jurisdiction from which the site is being accessed. In the event that you, as a legal guardian, wish to allow a minor to use this site and/or any NAUI Worldwide services, you acknowledge that a minor will have permission to access this entire site and any NAUI Worldwide services, including without limitation email. You further acknowledge that, as the legal guardian, it is your responsibility to determine whether use of the NAUI Worldwide services and/or content transmitted through the NAUI Worldwide services is appropriate for a minor. NAUI Worldwide does not claim ownership of the materials you provide to NAUI Worldwide in any way. However, by posting, uploading, inputting, providing or submitting any such materials, you are granting NAUI Worldwide and any necessary sublicensees permission to use your submitted materials in connection with the operation of its business, including, without limitation, the rights to: copy, distribute, transmit, publicly display, publicly perform, reproduce, edit, translate and reformat your submitted material; and to publish your name and any contact information you approve of in connection with your submitted material. No compensation will be paid with respect to the use by NAUI Worldwide of your submitted material, as provided herein. NAUI Worldwide is under no obligation to post or use any material you may provide and NAUI Worldwide may remove any such material at any time in its sole discretion. (By posting, uploading, inputting, providing or submitting your material you warrant and represent that you own or otherwise control all of the rights to your material as described in this section including, without limitation, all the rights necessary for you to provide, post, upload, input or submit the material. Notwithstanding the foregoing, any suggestions, improvements or modifications to NAUI Worldwide products and services ("Enhancements") made by you or anyone acting on your behalf, including your employees, will be the property of NAUI Worldwide without any further consideration to you, whether or not such Enhancements are incorporated into NAUI Worldwide products and services. You may not use this site and/or NAUI Worldwide services in any manner which could damage, disable, overburden or impair this site and/or any NAUI Worldwide services (or the network(s) connected to such site or services) or interfere with any other party's use and enjoyment of this site and/or NAUI Worldwide services. You may not attempt to gain unauthorized access to this site and/or any NAUI Worldwide service, other accounts, computer systems or networks connected to this site, through hacking, password mining or any other means. You may not obtain or attempt to obtain any materials or information through any means not intentionally made available to you through this site. Upload, post, email, transmit or otherwise make available any material that you do not have a right to make available under any law or under contractual or fiduciary relationships (such as software protected by intellectual property laws, inside information, proprietary and confidential information learned or disclosed as part of employment relationships or under nondisclosure agreements). Upload, post, email, transmit or otherwise make available any material that contains software viruses or any other computer code, files or programs designed to interrupt, destroy or limit the functionality of any computer software or hardware or telecommunications equipment, including without limitation, Trojan horses, worms, time bombs, cancelbots or corrupted files. Post, publish, modify, transmit, reproduce, or distribute in any way, information, software or other materials or tools designed for compromising the security of the Communication Services, our network or telecommunication services. Falsify or delete any email headers, author attributions, legal or other proper notices or proprietary designations or labels of the origin or source of email, software or other material in order to disguise the origin of such email, software or material. Restrict or inhibit any other user from using and enjoying the Communication Services, or create an unusually large burden on the Communication Services, such as by generating levels of traffic sufficient to impede others' ability to send or retrieve information. Harvest or otherwise collect information about others, including e-mail addresses, without prior written authorization from such owners of such information. Resell any of the Communication Services or use the Communication Services other than for your own personal purposes. Without limiting the foregoing, you agree that you will not use the Communication Services to provide Internet access or any other feature of the Communication Services to any third party. Impersonate any person or entity, or falsely state or otherwise misrepresent your affiliation with a person or entity, or create a false identity to mislead others. NAUI Worldwide has no obligation to monitor the Communication Services. However, NAUI Worldwide reserves the right to review materials posted to or sent through a Communication Service and to remove any materials in its sole discretion. NAUI Worldwide further reserves the right to terminate your access to any or all of the Communication Services and this site at any time, without notice, for any reason whatsoever. NAUI Worldwide reserves the right at all times to disclose any information as NAUI Worldwide deems necessary to satisfy any applicable law, regulation, legal process or governmental request, or to edit, refuse to post or to remove any information or materials, in whole or in part, in NAUI Worldwide's sole discretion. Always use caution when giving out any personally identifying information about yourself or your children in any Communication Service. NAUI Worldwide does not control or endorse the content, messages or information found in any Communication Service and, therefore, NAUI Worldwide specifically disclaims any liability with regard to the Communication Services and any actions resulting from your participation in any Communication Service. Materials uploaded to a Communication Service may be subject to posted limitations on usage, reproduction, dissemination or other requirements. You are responsible for adhering to such limitations if you download the materials. All information, data, text, software, music, sound, photographs, graphics, video, messages, or other materials ("Content") posted to any Communication Services by any users are the sole responsibility of those users. NAUI Worldwide does not guarantee the accuracy, copyright compliance, legality, integrity, quality, or decency of such Content. Posting your name, contact information, and any personal information in any Communication Services places that information into a public forum. Unless otherwise specified, the services provided on this site are for your personal and non-commercial use. You may not modify, copy, distribute, transmit, display, perform, reproduce, publish, license, create derivative works from, transfer or sell any information, software, products or services obtained from this site. As this site may be accessed globally, if you choose to access this site from locations other than the United States, you do so on your own initiative and you are responsible for compliance with all applicable local use controls, laws and regulations, including those relating to the transmission of technical data exported from or imported to the country in which you reside. 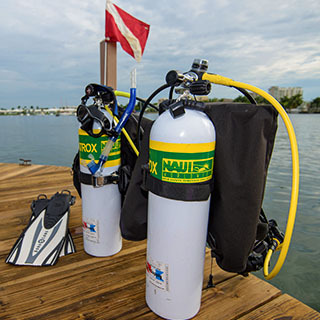 Notwithstanding the foregoing, NAUI Worldwide makes no representation that materials on this site are appropriate or available for use in locations outside the United States, as applicable, and accessing them from territories where their contents are illegal is prohibited. 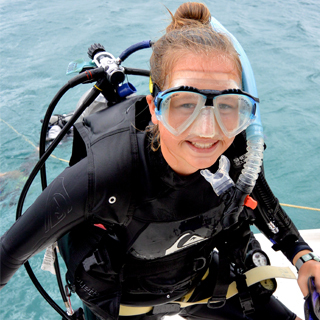 All content and software that is made available to view and/or download in connection with this site, excluding content and/or software that may be made available by end-users through a Communication Service, ("Software") is owned by and is the copyrighted work of NAUI Worldwide and/or its suppliers and is protected by copyright laws and international treaty provisions. Your use of the Software is governed by the terms of the software license agreement, if any, which accompanies or is included with the Software ("License Agreement"). You may not install or use any Software that is accompanied by or includes a License Agreement unless you first agree to the License Agreement terms. In the event that any Software is not accompanied by a license agreement, it shall be governed by the terms of NAUI Worldwide's Software License Agreement, which is included with the applicable NAUI Worldwide Solution. You further agree that you will not download any content or software without complying with all applicable use controls, laws and regulations, and you warrant that you will not download any content or software where such downloading is prohibited by local laws. 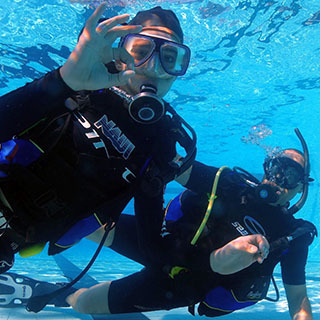 You agree that NAUI Worldwide may establish limits concerning use of any services (including Communication Services and messaging services) offered on this site, including without limitation, the maximum number of days that messages will be retained by the service, the maximum number of messages that may be sent from or received by an account on the service, the maximum size of an message that may be sent from or received by an account on the service, the maximum disk space that will be allotted on NAUI Worldwide's servers on your behalf, and the maximum number of times and duration you may access the service in a given period of time. You agree that NAUI Worldwide has no responsibility or liability for the deletion, corruption or failure to store any messages or other content maintained or transmitted by the service. You acknowledge that NAUI Worldwide reserves the right to delete accounts without notice to you that are inactive for an extended period of time. NAUI WORLDWIDE MAKES NO WARRANTY THAT ANY SERVICE WILL BE AVAILABLE, UNINTERRUPTED, TIMELY, SECURE OR ERROR-FREE. In addition to the terms and conditions set out herein, you agree that you: (a) will not continue to send commercial email to a recipient if recipient has requested that you discontinue such communication; (b) will not forward or propagate chain letters of any type (including charity requests or petitions for signatures), whether or not the recipient wishes to receive such mailings; (c) will not intentionally flood a user, server, account or site with large or numerous email messages; and (d) will not forge header information. NAUI Worldwide prohibits the use of accounts or network connections, to collect replies of messages sent from any another provider that violates these terms and conditions of use or those of the originating provider. 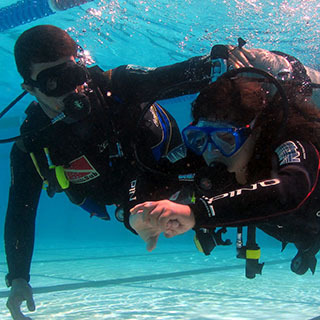 By making any purchase from NAUI Worldwide through this site, you agree to abide and be bound by the terms and conditions of the NAUI Worldwide Solution License Agreement, as amended and/or NAUI Worldwide's Terms and Conditions of Purchase, as applicable, along with any other terms and conditions that you agree to in the course of making your purchase. You further agree that you will not make any purchase from this site without complying with all applicable laws and regulations, and you warrant that you will not make any purchases through this site where such purchase is prohibited by local laws. You acknowledge that all purchases made by you through this site are for your internal or personal use only, and are not for resale or export. ALL MATERIALS, INFORMATION, SOFTWARE, PRODUCTS, SERVICES AND OTHER CONTENT CONTAINED IN THIS SITE, OR OBTAINED FROM A LINKED SITE IS PROVIDED TO YOU "AS IS" WITHOUT WARRANTY OR CONDITIONS OF ANY KIND, WHETHER EXPRESS OR IMPLIED, INCLUDING, BUT NOT LIMITED TO, THE IMPLIED WARRANTIES OR CONDITIONS OF MERCHANTABILITY AND FITNESS FOR A PARTICULAR PURPOSE, TITLE, NON-INFRINGEMENT, SECURITY OR ACCURACY. NAUI WORLDWIDE HAS MADE REASONABLE EFFORTS TO POST CURRENT AND ACCURATE INFORMATION ON THIS SITE; HOWEVER, NAUI WORLDWIDE ASSUMES NO RESPONSIBILITY FOR ANY ERRORS, OMISSIONS OR INACCURACIES WHATSOEVER IN THE INFORMATION PROVIDED IN THIS SITE. UNDER NO CIRCUMSTANCES WILL NAUI WORLDWIDE BE LIABLE FOR ANY LOSS OR DAMAGE CAUSED BY YOUR RELIANCE ON INFORMATION OBTAINED THROUGH THIS SITE. IT IS YOUR RESPONSIBILITY TO EVALUATE THE ACCURACY, COMPLETENESS AND USEFULNESS OF ANY INFORMATION PROVIDED, AND USE OF THIS SITE IS SOLELY AT YOUR OWN RISK. SOME JURISDICTIONS DO NOT ALLOW THE EXCLUSION OF CERTAIN WARRANTIES, SO THE ABOVE LIMITATIONS OR EXCLUSIONS MAY NOT APPLY TO YOU. YOU SPECIFICALLY AGREE THAT NAUI WORLDWIDE SHALL NOT BE RESPONSIBLE FOR UNAUTHORIZED ACCESS TO OR ALTERATION OF YOUR TRANSMISSIONS OR DATA, ANY MATERIAL OR DATA SENT OR RECEIVED OR NOT SENT OR RECEIVED, OR ANY TRANSACTIONS ENTERED INTO THROUGH THIS SITE. YOU SPECIFICALLY AGREE THAT NAUI WORLDWIDE IS NOT RESPONSIBLE OR LIABLE FOR ANY THREATENING, DEFAMATORY, OBSCENE, OFFENSIVE OR ILLEGAL CONTENT OR CONDUCT OF ANY OTHER PARTY OR ANY INFRINGEMENT OF ANOTHER'S RIGHTS, INCLUDING INTELLECTUAL PROPERTY RIGHTS. YOU SPECIFICALLY AGREE THAT NAUI WORLDWIDE IS NOT RESPONSIBLE FOR ANY CONTENT SENT USING THE COMMUNICATION SERVICES AND/OR INCLUDED IN THIS SITE BY ANY THIRD PARTY. IN NO EVENT SHALL NAUI WORLDWIDE BE LIABLE FOR ANY SPECIAL, INCIDENTAL, INDIRECT, PUNITIVE OR CONSEQUENTIAL DAMAGES OF ANY KIND, OR ANY DAMAGES WHATSOEVER, WHETHER IN CONTRACT, TORT, STRICT LIABILITY OR OTHERWISE, (INCLUDING WITHOUT LIMITATION, THOSE RESULTING FROM: (1) RELIANCE ON THE MATERIALS PRESENTED, (2) COSTS OF REPLACEMENT GOODS, (3) LOSS OF USE, DATA OR PROFITS, (4) DELAYS OR BUSINESS INTERRUPTIONS, (5) AND ANY THEORY OF LIABILITY) ARISING OUT OF OR IN CONNECTION WITH THE USE OF, OR INABILITY TO USE THIS SITE, WHETHER OR NOT NAUI WORLDWIDE HAS BEEN ADVISED OF THE POSSIBILITY OF SUCH DAMAGES. SOME JURISDICTIONS DO NOT ALLOW THE LIMITATION OR EXCLUSION OF LIABILITY FOR INCIDENTAL OR CONSEQUENTIAL DAMAGES SO THE ABOVE LIMITATIONS OR EXCLUSIONS MAY NOT APPLY TO YOU. Upon reasonable request by NAUI Worldwide, you agree to defend, indemnify and hold harmless NAUI Worldwide and its employees, contractors, officers and directors from all liabilities, claims and expenses, including attorney's fees, that arise from your use or misuse of this site, including without limitation content sent or posted by you through the Communication Services, your connection to this site and/or NAUI Worldwide services, your non-compliance with these terms and conditions of use, or your violation of any third-party rights. NAUI Worldwide reserves the right, at its own expense, to assume the exclusive defense and control of any matter otherwise subject to indemnification by you, in which event you will cooperate with NAUI Worldwide in asserting any available defenses. Neither you nor anyone acting on your behalf, including your employees, acquire any intellectual property or other proprietary rights, including patents, designs, trademarks, copyright or trade-secrets, relating to the contents of this site, including without limitation, software and information, except as otherwise expressly specified in an appropriate license or other mutually agreed upon, written agreement that you may have with NAUI Worldwide. Any grants not expressly granted herein are reserved. All contents of this site are © 1960-2018 NAUI Worldwide. All rights reserved. 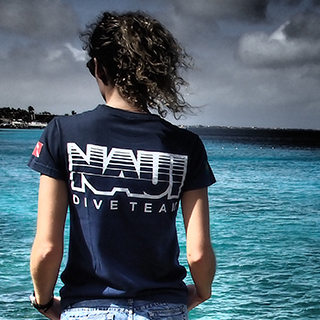 NAUI Worldwide®, and related trademarks, names and logos are the property of NAUI Worldwide and are registered and/or used in the U.S. and countries around the world. NAUI Worldwide reserves the right at any time and from time to time to modify or discontinue, temporarily or permanently, any services (including email services) provided through this site (or any part thereof) with or without notice, or in accordance with the terms of your separate written agreement with NAUI Worldwide. You agree that NAUI Worldwide shall not be liable to you or to any third party for any modification, suspension or discontinuance of such services. Where feasible (in NAUI Worldwide's sole discretion), NAUI Worldwide will advise you of any inappropriate behavior on your part and any necessary corrective action. However, if this site or any NAUI Worldwide services are used in a way in which NAUI Worldwide, in its sole discretion, deems to violate these terms and conditions of use, NAUI Worldwide or its agent may take any responsible actions they deem appropriate. Such action may include, but is not limited to, temporary or permanent removal of content, filtering of Internet transmissions and the immediate suspension or termination of all or any portion of the Communication Services (including email services). NAUI Worldwide shall not be liable in any way for any such responsive actions. The above-described actions are not NAUI Worldwide's exclusive remedies and NAUI Worldwide may take any other legal, equitable or technical action it deems appropriate. NAUI Worldwide reserves the right to investigate suspected violations of these terms and conditions of use. You hereby authorize NAUI Worldwide to cooperate with (1) law enforcement authorities in the investigation of suspected criminal violations and (2) system administrators at Internet service providers, networks or computing facilities in order to enforce these terms and conditions of use. 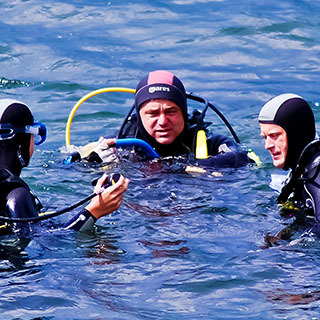 Such cooperation may include NAUI Worldwide providing the username, IP address or other identifying information about you. Upon termination of any account you may have with NAUI Worldwide, you authorize NAUI Worldwide to delete any files, programs, data and email messages associated with such account. Notwithstanding the foregoing, NAUI Worldwide reserves the right, in its sole discretion, to remove any photos, images or other content you upload to the site, and/or to terminate your access to this site and NAUI Worldwide services or any portion thereof, for any reason without notice. These Terms and Conditions of Use are governed by the laws of the State of Florida, without regard to conflict of laws provisions, and you agree to submit to the exclusive jurisdiction of the courts located in the State of Florida. The parties expressly agree that neither the United Nations Convention on Contracts for the International Sale of Goods nor the Uniform Computer Information Transactions Act shall apply to these terms and conditions of use or to any contracts relating to goods or services obtained through this site. No joint venture, partnership, employment or agency relationship exists between you and NAUI Worldwide as a result of this agreement or use of this site and/or NAUI Worldwide services. NAUI Worldwide's performance of this agreement is subject to existing laws and legal process, and nothing contained in this agreement is in derogation of NAUI Worldwide's right to comply with governmental, court and law enforcement requests or requirements relating to your use of this site, NAUI Worldwide services or information provided to or gathered by NAUI Worldwide with respect to such use. If any part of this agreement is determined to be invalid or unenforceable pursuant to applicable law including, but not limited to, the warranty disclaimers and liability limitations set forth above, then the invalid or unenforceable provision will be deemed superseded by a valid, enforceable provision that most closely matches the intent of the original provision and the remainder of the agreement shall continue in effect. Unless otherwise specified herein, this agreement constitutes the entire agreement between you and NAUI Worldwide with respect to this site and NAUI Worldwide services and it supersedes all prior or contemporaneous communications and proposals, whether electronic, oral or written, between you and NAUI Worldwide with respect to this site and NAUI Worldwide services. A printed version of this agreement and of any notice given in electronic form shall be admissible in judicial or administrative proceedings based upon or relating to this agreement to the same extent and subject to the same conditions as other business documents and records originally generated and maintained in printed form. It is the express will of the parties that this agreement and all related documents have been drawn up in English. You acknowledge that this site may contain information, communications, software, photos, text, video, graphics, music, sounds, images and other material and services (collectively "Content"), which is generally provided by NAUI Worldwide or by licensors of NAUI Worldwide. You agree and acknowledge that, notwithstanding that NAUI Worldwide permits access to the Content, the Content is protected by copyrights, trademarks and other proprietary (including intellectual property) rights (collectively "Rights"), that these Rights are valid and protected in all media now existing or later developed, and that except as specifically provided in these Terms, your use of the Content shall be governed and constrained by applicable copyright, trademark and other intellectual property laws. In addition to NAUI Worldwide's and its licensors' Rights in individual elements of the Content, NAUI Worldwide owns a copyright in the selection, coordination, arrangement and enhancement of the Content. You may not modify, publish, transmit, participate in the transfer or sale of, reproduce, create derivative works from, distribute, perform, display, incorporate into another Web site, or in any other way exploit any of the Content, in whole or in part. Any software that is made available to download from this site is the copyrighted work of NAUI Worldwide and/or its licensors'. Use of the software is governed by the terms of the end user license agreement that accompanies or is included with the software. While every effort has been made to ensure technical accuracy, information on this site is subject to change without notice, and does not represent a commitment on the part of NAUI Worldwide.